At the early morning (pick up time will confirmed after booking the tickets ) Around 5:00 am you will be picked up by representative from your hotel or Nile cruise in Luxor, then transferred to Luxor International Airport for flight to Cairo where you will be met at the street exit gate outside the terminal and transferred to discover The Pyramids of Cheops, Chephren and Mykerinus. 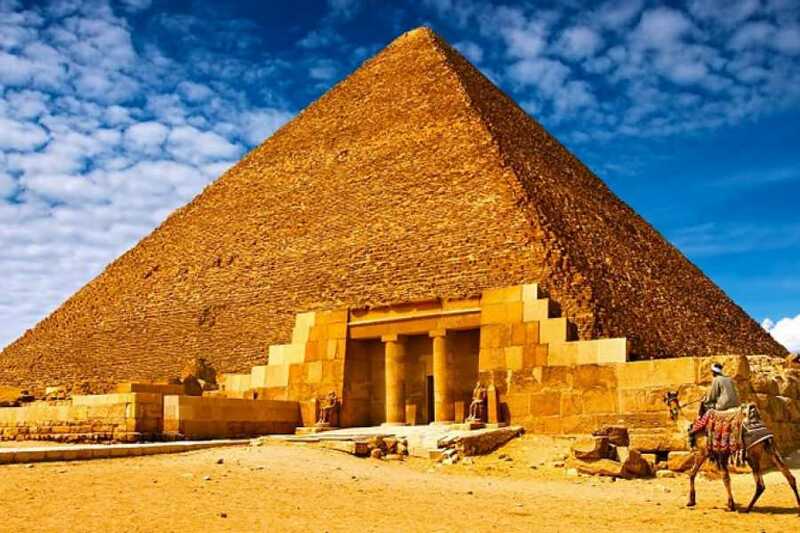 Then proceed to visit the Great Sphinx, the head of a pharaoh with a lion’s body, which dates from the time of Chephren; the tour also includes a visit to the Valley Temple, which belongs to the Pyramids of Chephren. Proceed to have your lunch at local restaurant in Cairo ( drinks aren't included). 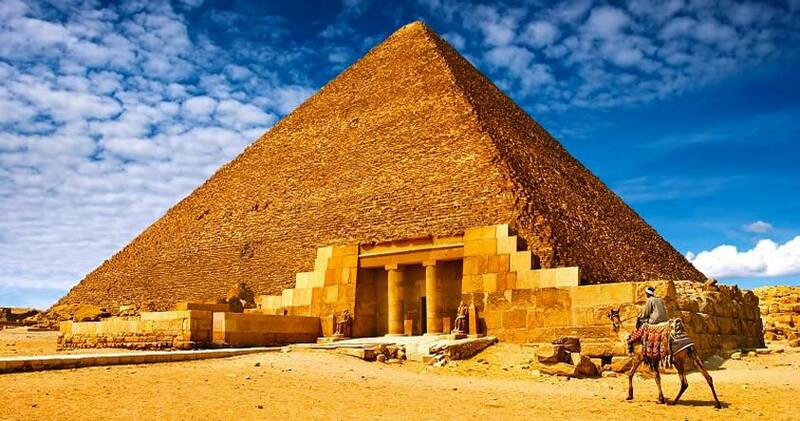 Then you will move on to relish a trip to the Egyptian Museum which features artifacts from the Pharaonic period. The museum displays a rare collection of 5000 years of art which is considered the largest most precious collection of Egyptian art in the world. Over 250,000 genuine artifacts are presented, including an exhibit dedicated to Tutankhamen collection of treasure, gold and jewelry which was enclosed in his tomb for over 3,500 years before it was discovered in the 1920 when his tomb was excavated. Move onto Coptic Cairo for a background about the Christian and Jewish heritage through the Hanging Church and Ben Ezra Synagogue. Continue driving to Islamic Cairo, where you will be able to explore Khan El Khalili Bazaar, Cairo’s oldest bazaar.